I’m sure most of you know by now that I swear by breakfast. For me, breakfast is such an important part of my life and always has been. My Mum always told me never to skip my breakfast and it’s a rule I’ve lived by for a very long time. Today I wanted to talk about why breakfast is so important and give you an update on some of my favourite breakfasts. I always see my body as a car, it needs fuel to work efficiently so I fuel it up at the start of the day with the right stuff. I swear by porridge with blueberries for antioxidants, a scoop of greens powder and chia seeds. Alternatively, I’ll have healthy pancakes (read my healthy pancake recipe) alongside a shake. 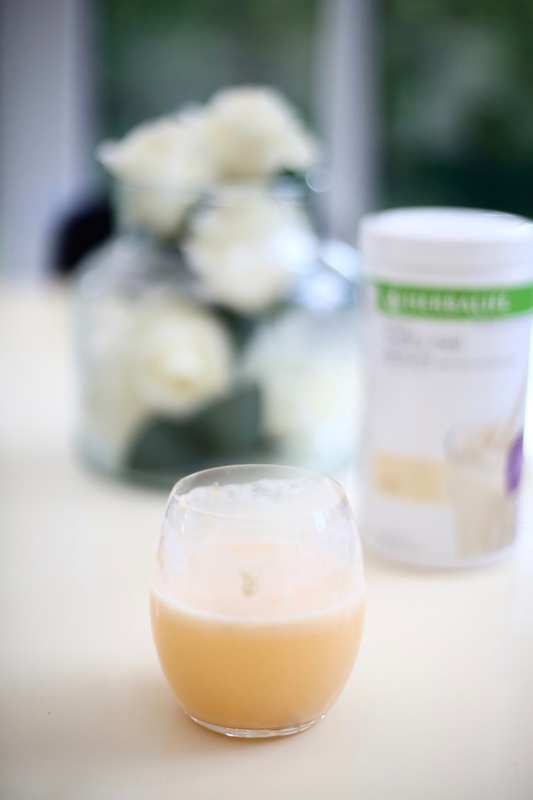 I’ve been using Herbalife Formula 1 Nutritional Shake Mix in vanilla to pep up my smoothies. If I add a scoop along with some of my favourite ingredients like blueberries & spinach, I can create a really nutritious breakfast. Breakfast means ‘break the fast’ and I see it as a way to renew and repair my body from the night before. A healthy combination of vitamins and minerals can help reduce fatigue so you avoid that mid-morning slump which often happens if you skip the first meal of the day. #2: There is research* that shows skipping or eating a breakfast lacking in goodness can make you more likely to reach for high-calorie/unhealthy foods later in the day - According to research, individuals who consume good quality breakfast apparently have a healthier daily food pattern. This is something my Mum has always told me. #3: Healthy skin - We all know that beautiful skin starts with nourishment from inside. I swear by waking up to water with lemon and then having a matcha or a green tea. #4: Boost your metabolism – Research* does also show that eating breakfast and having smaller portions helps to balance energy and can boost the metabolism. #5: Brain power - another thing my Mum always told me. You apparently have an improved mental performance, concentration and mood if you have a good breakfast. I get irritable and very tired without it. No wonder my Mum always made me sit down and enjoy breakfast before exams. #6: Me time - I push the idea of me time quite a lot as I think it’s extremely important for your wellbeing. Remember, physical health is just as important as mental health. Take time to enjoy your breakfast, don’t rush out and eat and drink on the go, just sit down for ten minutes and let it sink in, enjoy it, breath. You don’t want a hangry Em that’s for sure! Now, for Em’s super shake recipe! These are the basic ingredients, you can make it as sweet or not as you like depending on how much you put in. Taste it and test it! Favourite breakfast options: Omelettes, dippy eggs and soldiers, toasted sourdough, home-made chia jam, poached eggs, healthy pancakes, porridge, fruit and greek yoghurt, healthy shake, acai bowls! Remember, even if you are busy, you still have time for breakfast, with porridge, I used to make it the night before and a shake is SO easy to make! I usually have one before or after the gym. Remember, life is about balance, I don't believe in deprivation. 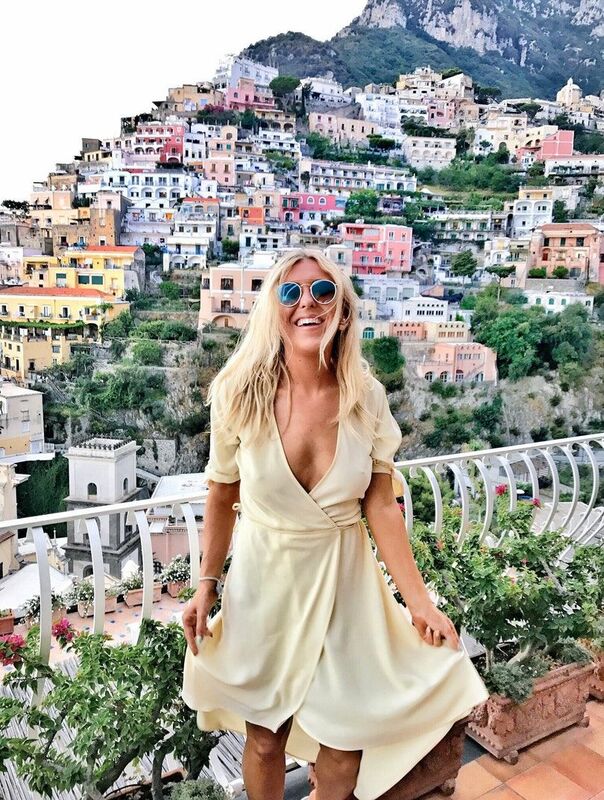 Move more, eat better, not less but don't beat yourself up for enjoying life! Read my top fitness and health hacks here. Do you believe in eating breakfast? What are your favourite breakfast dishes? 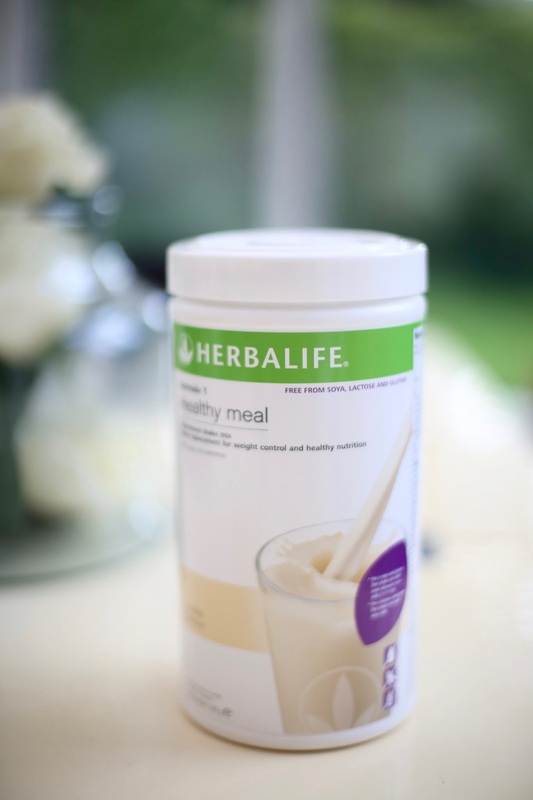 *I worked with Herbalife on this but as always it's 100% my honest opinion. Fenty Beauty By Rihanna Full Review And Swatches!